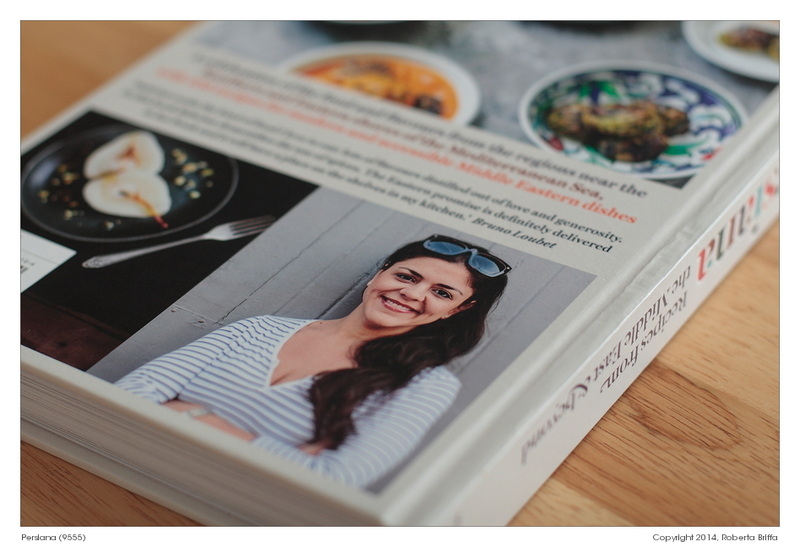 Sabrina Ghayour‘s cookbook was one of this year’s highlights for me. I just couldn’t wait for it to arrive. It’s Sabrina’s first publication and I’m positive it won’t be her last. 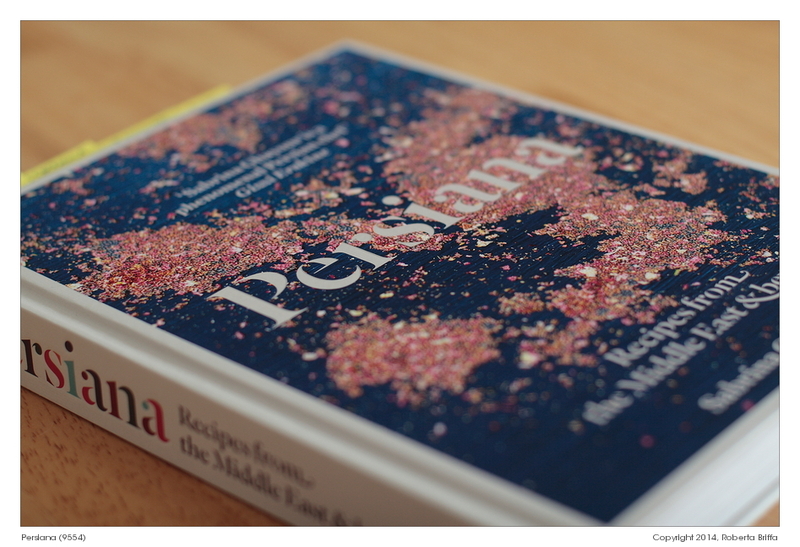 The book looks great, and I love the textured cover. And just look at that beautiful face! Of course, we want more! My only disappointment here is with myself, because I was pressed for time for the past week or two and couldn’t dedicate myself fully to cook from this beautiful book. I did manage three recipes though, all of which were fast, easy and I’m happy to say, were all followed with a mimimal cleaning up. I was planning another two recipes; I loved the look of the Spiced Carrot, Pistachio and Almond Cake with Rosewater Cream and the Pistachio, Rose and Raspberry Madelines, but time was not just not on my side this week. I’m not worried though – I have the book now so the intention is to cook and eat my way through as many things as I possibly can! The ingredients aren’t difficult to find, and the approach to food is no-fuss. Sabrina has taken the food she grew up with and ran with it. And now she’s taking it everywhere. Many know her from the numerous supper clubs she hosts around London. I don’t know this lovely lady personally; she was one of the very first chefs I started following on Twitter (she seems to be there all the time!) and I feel honoured in that I do manage to have have a little chat with her once in a while. She always replies and she was genuinely interested in my thoughts about the book when I told her I couldn’t wait to read it. I appreciate and admire honesty and humility in people and I think Sabrina possesses both qualities. Plus she is definitely one of the emerging stars of the moment and she has worked very hard to get to where she is now. I am truly happy for her. The first recipe I tried was the Aubergine Chermoula, which I served with plain cooked basmati. I was conscious of the fact that I could have herbed the rice up (there’s a recipe for Persian Herb Rice on page 58 that would have worked wonders). Pity. 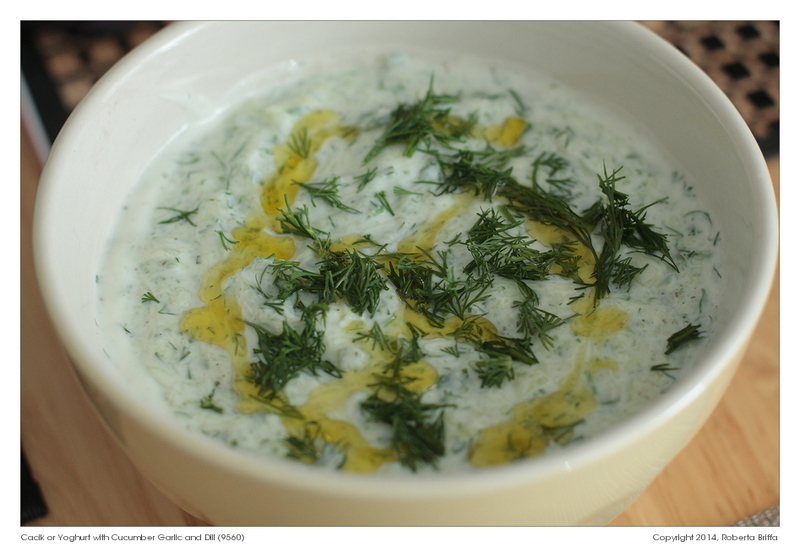 I made up for it though by whipping up the Cacik, a yoghurt dip with dill and cucumber. Both were a doddle to make, perfect for those busy days. 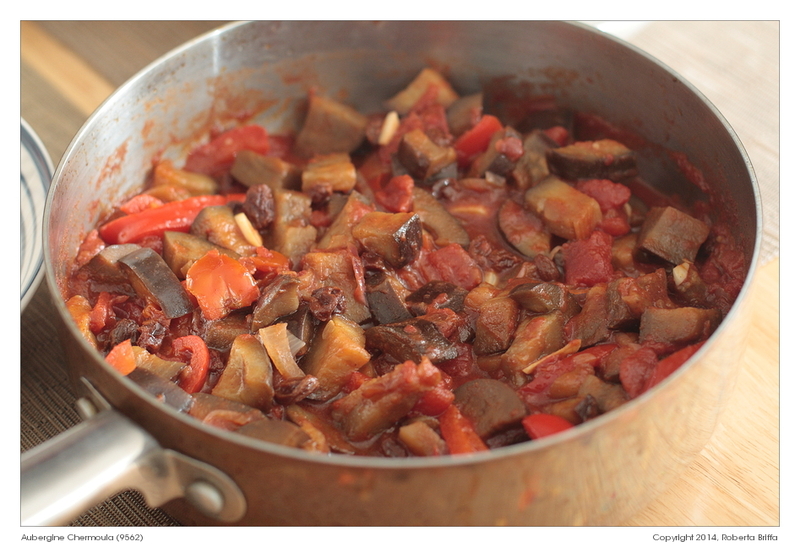 The Aubergine Chermoula is something in between a stew and a ratatouille. As usual, I had plenty of leftovers. No news there I’m sure. The spices (note: aromatic not hot) had all the time in the world to infuse throughout the whole dish and it tasted even better the next day. The Cacik was a total surprise. 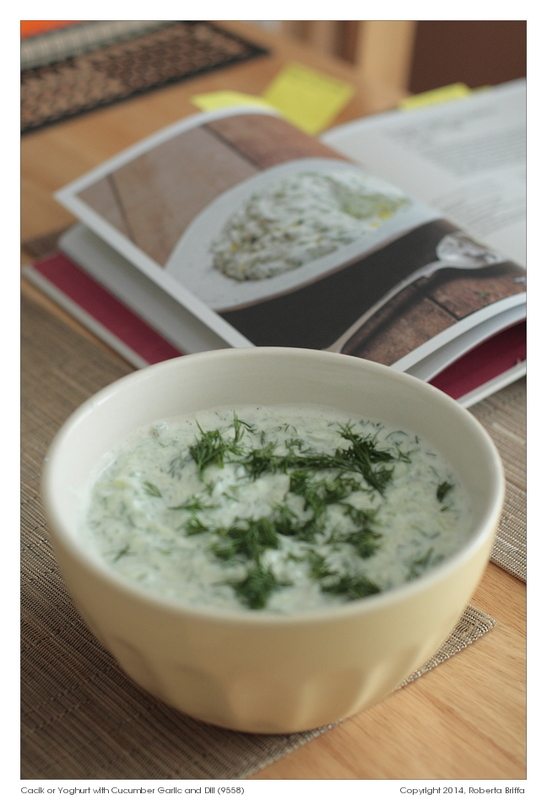 It *is* Tzatziki and it’s a great recipe. One of the things I’m not particularly keen on is raw garlic. Here you use only one clove – plenty for the given quantities. There’s no mint in it and I was so pleased to notice that the final mixture was not runny, although I did not use the prescribed Greek yoghurt. I only had a large tub of plain yoghurt in the fridge and it worked just as well. Having said that, I strained the grated cucumbers really really well. You have to. A bit of seasoning and there you go. I opted for one of the simpler, for lack of a better word, desserts. Simplicity doesn’t imply food without joy, and Eastern Mess gives plenty of that. 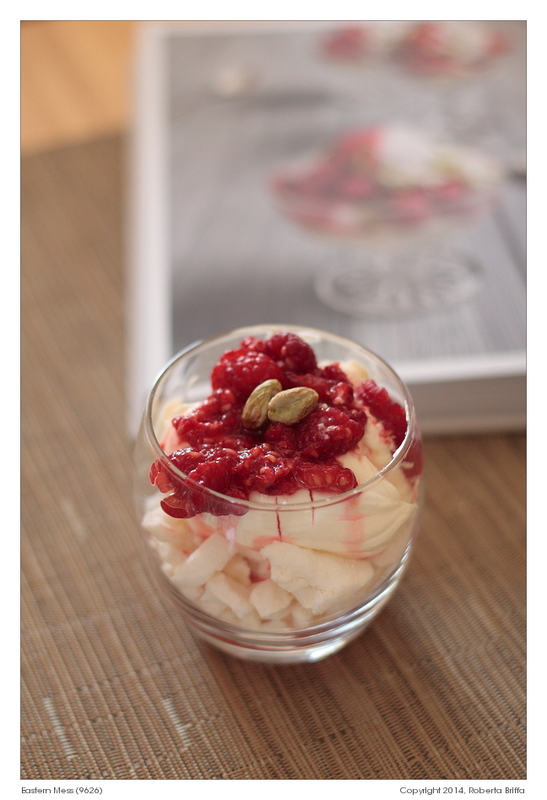 It’s Sabrina’s version of Eton Mess, with added rosewater, fresh basil, pistachios and raspberries. Admittedly I had to leave out the basil leaves. Why? I completely forgot all about them, making me the most absent-minded cook out there – really, I have never met anyone more dazed and muddled than myself – something which I’m not very proud of in case you’re wondering. In any case, my frustration at this ended as soon as I put the first spoonful in my mouth. It seemed like a sugar bomb explosion, and I may have been under a sugar high I ate two meringue nests just before but amidst my busy schedule and the utter chaos in this house, it was exactly what I needed. 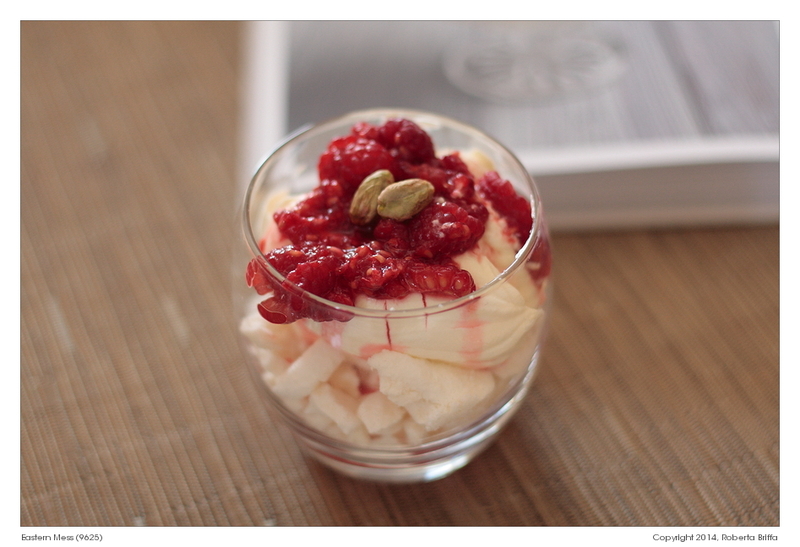 The raspberries compensated for and complemented the cream and the meringue bits and the pistachios were genius. I made four portions and they were all gone by the end of the day. That’s how much we enjoyed them. You can *always* find Sabrina on Twitter and Facebook.